IT’S been a fascinating story so far, hasn’t it? I was lucky enough to have been in right at the beginning of North Sea operations and bore witness to the introduction of some great new technologies, particularly subsea – the development of a whole new way of doing things. Those early days were genuinely pioneering because there were some tasks we were asked to perform that, in all honesty, we hadn’t got a clue how to do, but saw us pretty much invent procedures as we went along. There were also no such things as safety cases or risk assessments. We relied on what we had learned so far and what our instincts and commonsense told us. There was a genuine “can-do” spirit about the North Sea in particular. Above all, though, it was fun and immensely satisfying. We felt we were doing something worthwhile that was going to be of huge value to Britain. Then politics, especially, began to intervene. It started with the infamous “level playing field” nonsense of the early-80s, which was aimed at maximising production, not managing developments strategically, and effectively dumping any semblance of an industrial policy. It was all about filling the Treasury’s coffers, and was followed by doing the opposite of the Norwegians on the other side of the North Sea and killing off our national oil company, rather than using it as a national champion for our industry and for managing our oil and gas resources properly. Why would any government actually do that? Now, of course, industry is seen simply as a tax cash cow, there to be milked to plug the holes created by the fiscal and strategic incompetence of the current and prior UK governments. This year’s increase in tax was bad enough and, as Energy Eye commented last month, the £50million concession made a few weeks ago was frankly an insult. But there are other things going on which should also be causing concern. First, the loss of RAF Kinloss and its Nimrod squadrons means that, in the event of another major incident in the North Sea, West of Shetland or even further afield, there will no “top cover” available to assist in search-and-rescue work. A classic example of that capability was when the Alexander L. Kielland semi-submersible drilling rig capsized in the Ekofisk field in 1980. Six Nimrods searched for survivors and provided the rescue co-ordination, which included directing 80 surface ships and 20 UK and Norwegian helicopters. 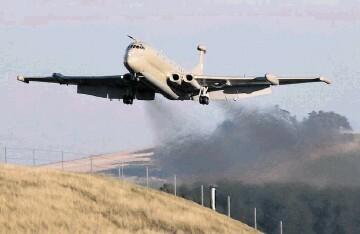 A Nimrod was also used during the Piper Alpha tragedy. Of course, given the ongoing terrorist threat to North Sea installations, the idea of having a Nimrod out on patrol is also very comforting. The Nimrod is apparently going to be replaced eventually by just three of the strangely named Boeing-built RC-135 Rivet Joint aircraft, but not until 2014. Knowing the current government, it would not surprise me if this order was either cancelled or delayed as well. But three is under half the number of Nimrods we used to have. There will also be little UK content in these aircraft. We also have to contend with cutbacks in coastguard facilities. Although the outcome looks better than originally envisaged, the fact that the Government even considered the idea of cutting all but a handful of centres shows the level of ignorance that exists within Whitehall about maritime industries, including oil and gas. That ignorance is also leading to the withdrawal of the two tugs kept in Shetland for marine emergencies. There also remains the threat of privatising air-sea rescue services. The plan was to give a contract to Canadian company CHC, which, under some sort of public-private finance deal, was going to be funded by the Royal Bank of Scotland to buy some new helicopters from Sikorsky in the US. 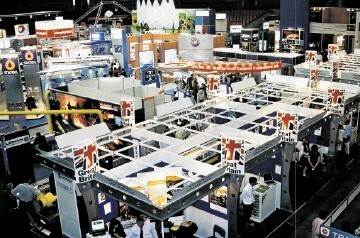 Benefit to UK industry? Zero. It also would not surprise me if that miserable bunch in the Treasury would want to charge for rescuing you. After all, that’s how they seem to think. Yes, the UK economy is in one great big mess and no doubt the national debt is much higher than it should be. Business confidence is generally pretty low, people are saving and not spending and business investment levels are also pretty poor. And we know from data that drilling activity in the North Sea dropped 43% in the first half of 2011. However, both Deloitte and Hannon Westwood also say drilling activity has risen a little of late, while the Netherlands has been enjoying “steady levels”. This means it is a UK thing and, while I’m sure it’s in part a reaction to the general global economic malaise, it’s due mainly to Chancellor George Osborne’s tax grab and the uncertainty and distrust that has created. However, all this is actually as much of a challenge as the beginnings of the industry in the North Sea. It tells me we still need to find more ways of reducing costs and putting fewer people at risk offshore. If politically and fiscally the industry is running into major obstacles, then we need new technological solutions to counter Westminster’s failures and stupidity. UK firm Unmanned Production Buoy may have one answer, thanks to its novel and inexpensive design for a simple floating production unit that can be deployed on mature or marginal fields, as well as used for extended well tests. Such innovation, together with radical ideas such as seabed drilling, is the way forward now. These need implementing sooner rather than later. Perhaps Offshore Europe is an excellent forum in which to further such a quest.